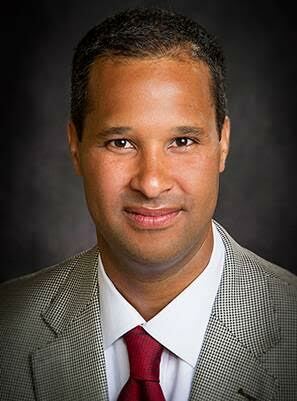 Marc Allen is senior vice president of The Boeing Company and president of Boeing International. He is a member of Boeing’s Executive Council. As president of Boeing International, Allen, 42, is responsible for the company’s international strategy and operations, and oversees 17 regional corporate headquarters in key markets around the world. Reporting to the chairman and CEO, Allen leads development of the company’s growth and productivity initiatives outside the U.S. and new business and industrial partnerships. His responsibilities also include overseeing international affairs, enhancing local presence and providing global functional support. Allen was appointed to the role in 2015. Previously, Allen served as president of Boeing Capital Corporation, a wholly owned Boeing subsidiary that arranges, structures and provides financing for Boeing’s commercial airplane, space and defense products. Prior to Boeing Capital, Allen served as vice president, of Boeing International and president of Boeing China, responsible for leading the company’s business in China from its Beijing headquarters. Leading Boeing China, Allen oversaw the company’s largest market outside the U.S. as its annual delivery pace doubled.